Atherton Vice Mayor Mike Lempres said the community is "honored" to host the President, but such visits can be "challenging for a small town." 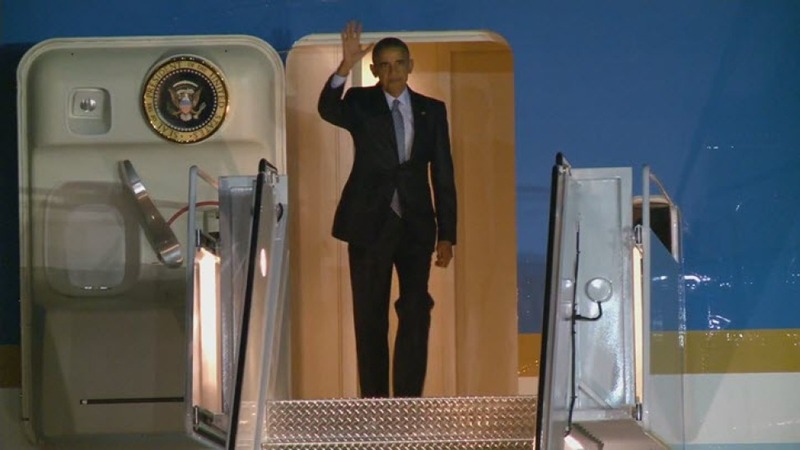 Obama arrived at Moffett Field in Mountain View just after 7 p.m. Wednesday. Liccardo described the president as a cordial, easy-going person who's pleasant to be around. President Barack Obama arrives in Moffet Field in Mountain View on Wednesday, Feb. 10, 2016. "It was obvious that he was happy to get off the plane and very happy to be in the warm weather of California," Liccardo said of Obama. "It's critical that our commander in chief sees what's going on here in Silicon Valley," Liccardo said. Obama was dressed in a black suit and blue tie as he stepped off the plane about 10 minutes after landing. He is in the Bay Area for the first time this year and is spending the night at the Sheraton Hotel in Milpitas. The president is expected at a private Democratic fundraiser at a Palo Alto residence Thursday morning. He is then scheduled to attend a brunch at the Atherton home of venture capitalist and California's former Controller and Chief Financial Officer Steve Westly. 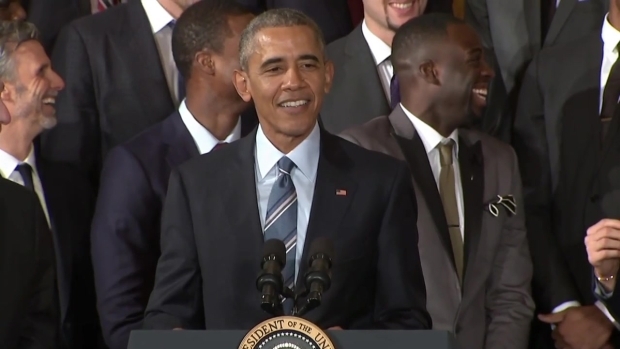 President Obama hosted the Golden State Warriors, the 2015 NBA champions in a ceremony at the White House on Thursday, Feb. 4, 2016. "It is astonishing what goes around a president visit, costs are imposed all over," Atherton Vice Mayor Mike Lempres said. In 2014, officials of the affluent Peninsula town passed an ordinance that requires homeowners who schedule large events, including presidential visits, to cover any added expenses, according to Lempres. "We're a small town but candidates do stop by quite a bit," he said. 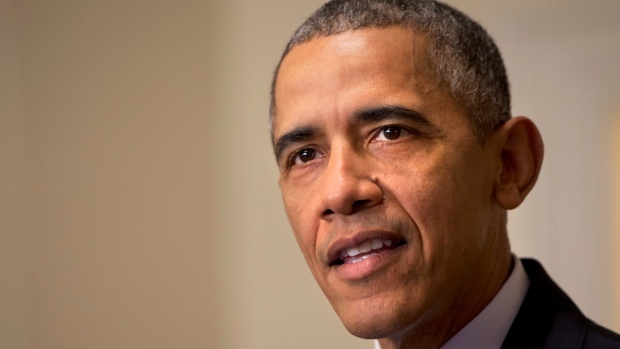 "We’re honored to have the president here but it does make it challenging for a small town." More than 300 people are expected at Westly’s house Thursday. Each guest will shell out a $250 admission fee, but anyone who wants a photograph with Obama will have to pay $10,000. Aterton Police Chief Ed Flint said all 19 officers on his staff will be working closely with the Secret Service and other Bay Area law enforcement agencies Thursday. "The type of staffing required for a POTUS visit really takes a lot of our staff and we have to bring people in on overtime," Flint said. "It can be very challenging for us to meet the needs of that type of dignitary visit." President Barack Obama returns to California this week to attend Democratic fundraisers and make an appearance on "The Ellen DeGeneres Show." Michelle Roberts reports. Obama is scheduled to depart from Moffett Field at about 2:20 p.m. Thursday and head to Los Angeles for another Democratic fundraiser as well as an interview with Ellen DeGeneres. His appearance on the daytime talk-show will air Friday. The president has visited California some two dozen times during his presidency. In October, nearly 1,300 people flocked to San Francisco's Warfield theater as the president shared the stage with the Golden State Warriors as well as musician Kanye West. Obama was last in Southern California in December, when he visited relatives of the 14 people killed in a shooting in San Bernardino.